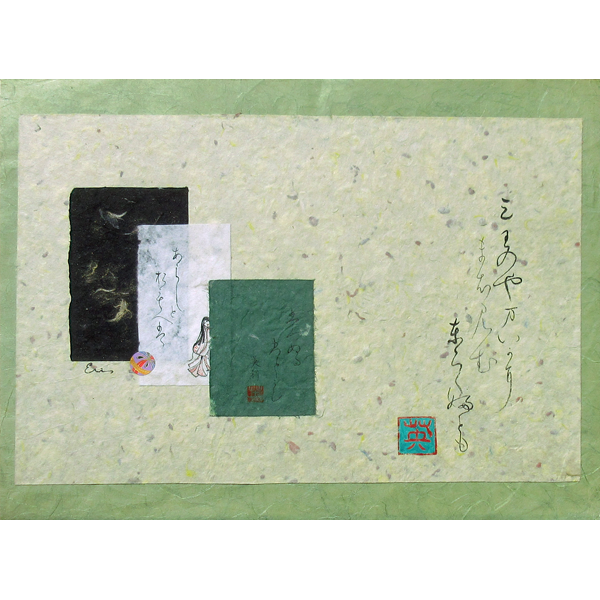 This mixed media work is on Western-style and Japanese papers. The art includes the acid-free foam core backing and arrives ready to frame. 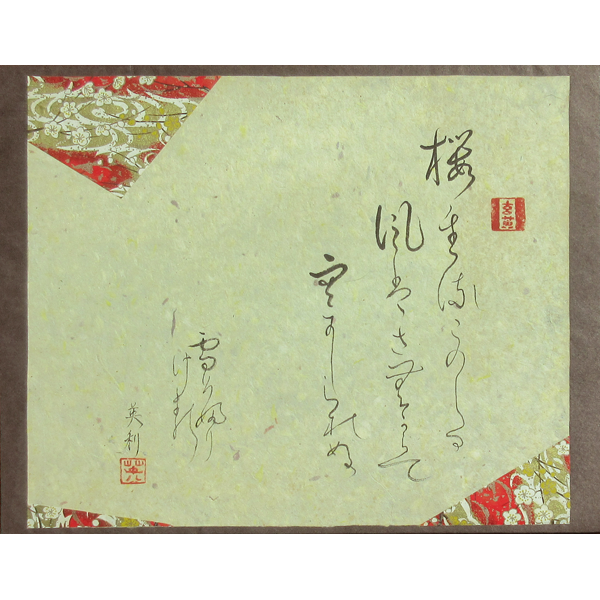 This is an original work by Master Japanese Calligrapher Eri Takase. This poem is perfect for Spring and celebrating the annual event of Cherry Blossom viewing. Here are some alternate translations. 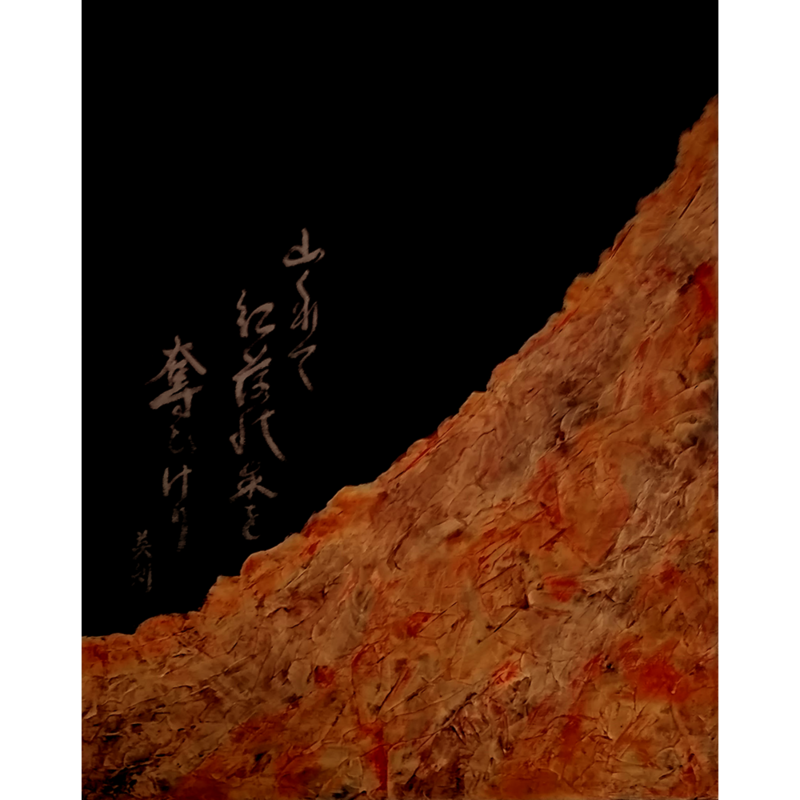 Only Companion: Japanese Poems of Love and Longing Translated by Sam Hill. Notice that the last two lines of Mr. Hill’s differs remarkably. 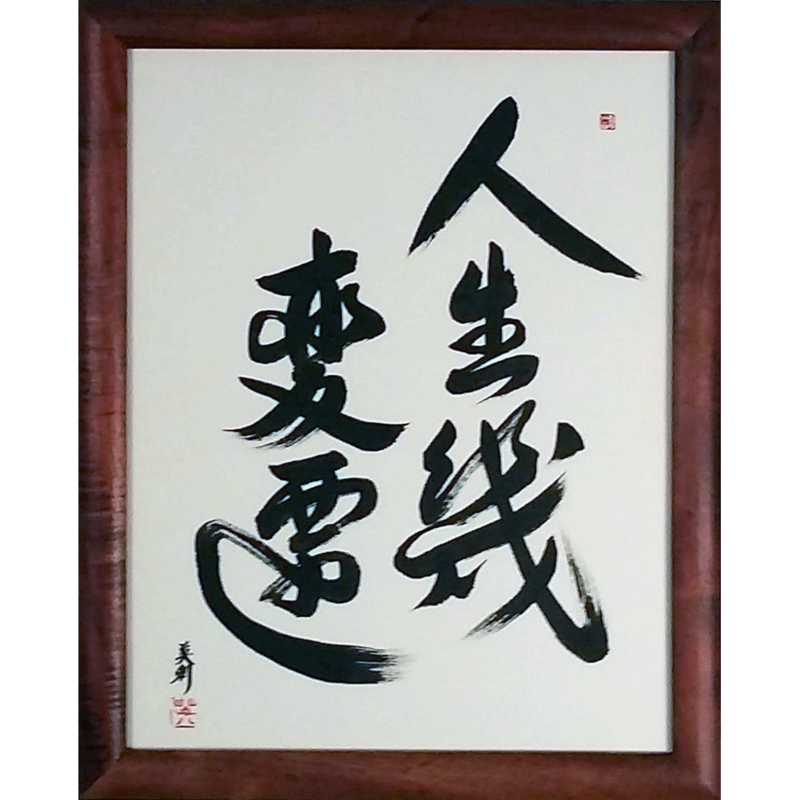 This beauty calligraphy is on hand-made paper and comes ready to frame in a standard 14″ W x 11″ H frame. 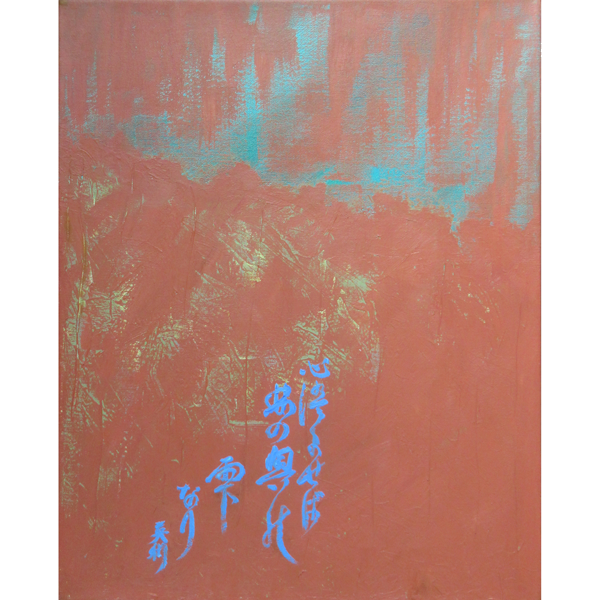 This is an original work, not a print, and was brushed by Master Japanese Calligrapher Eri Takase.